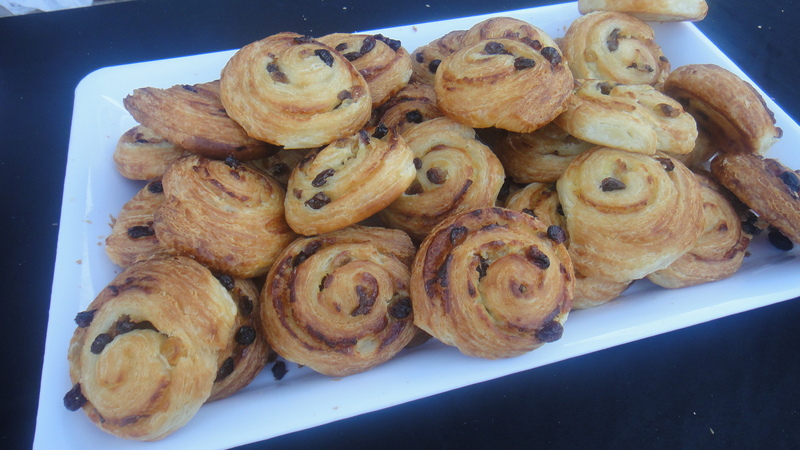 Bottom Line: Breakfast, a meal that most city dwellers know how to enjoy anytime of day. For two straight days, over ten rotating chefs of local eateries descended upon Stuyvesant Cove Park for a breakfast-themed feast. Happily devoid of muesli and Frosted Flakes, Breakfestival was a celebration of New York’s diversity and passion for good food. Review: Even the looming threat of a possible hurricane (which never came!) couldn’t stop this foodie fest. Long after the guests stuffed themselves silly, the buzz still continued. People happily chatted away over a drink as the sun set. Little else was needed to keep the vibe going. 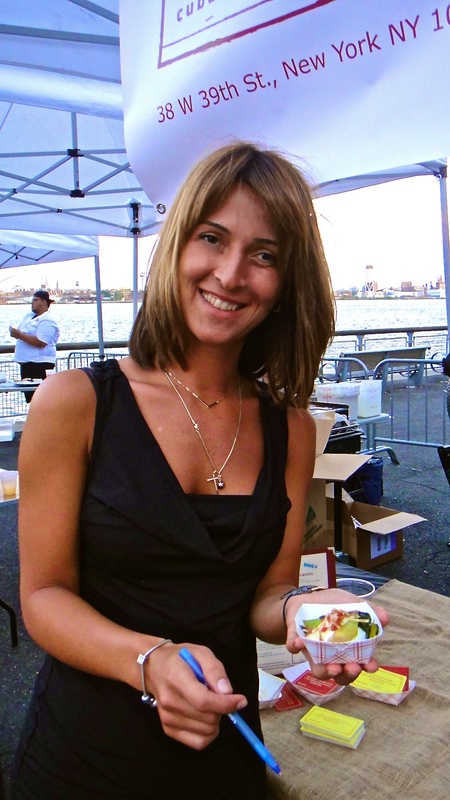 Breakfestival was a collaboration of many passionate individuals, chefs, distributors and writers connected by their love of food and Jimmy Carbone, the ever-cheerful owner of East Village’s locavore shrine: Jimmy’s No. 43. 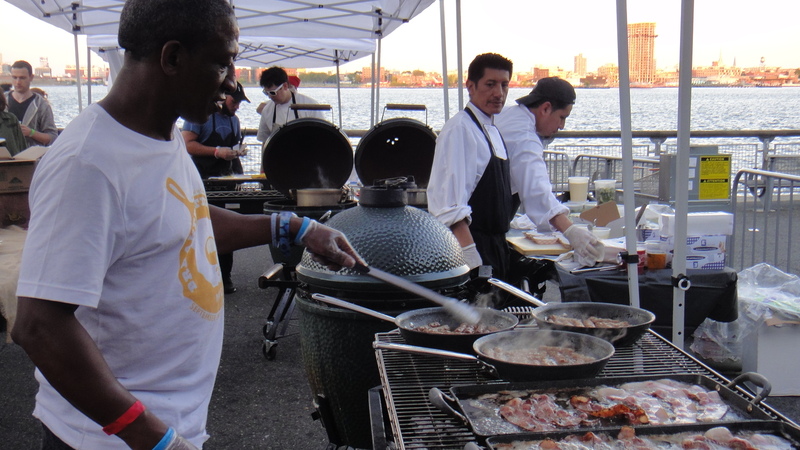 Ubiquitous to the local foodie community, he is everywhere from hosting microbrew events at the Greene Space in SoHo to organizing Cook Out parties all around New York. His uncanny talent of bringing food lovers together really helped make Breakfestival very special. 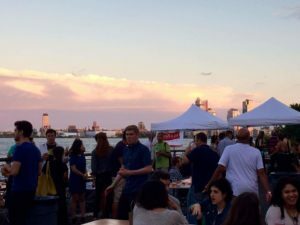 For this year’s outdoor festival, local food promoters, Extra Crispy teamed up with Joe DiStefano, a native of Queens who has devoted his entire life to exploring every inch of New York’s culinary map. To call him just a food writer seems an understatement. His blog Chopsticks + Marrow is a celebration of New York’s different cuisines that have come to define the city’s character. For this year’s Breakfestival, Joe curated the international cuisine element ensuring that there was a variety of dishes. “Bascially, we wanted to balance various things without having too much of the same.” And his line up contributing chefs certainly was well-chosen from the usual classic Western suspects to more exotic bites from different countries. Appearing throughout the Breakfestival, the rotating participants included some traditional morning comfort delights. 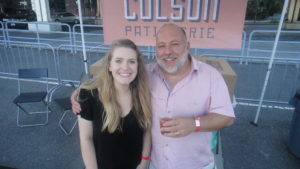 Colson Pâtisserie in Park Slope and Industry City, Brooklyn, and whose chef pâtissier Yonatan Israël trained under Hubert Colson in Mons, Belgium, tantalized us with perfectly flaky croissants, including my favorite: pain au raisin. 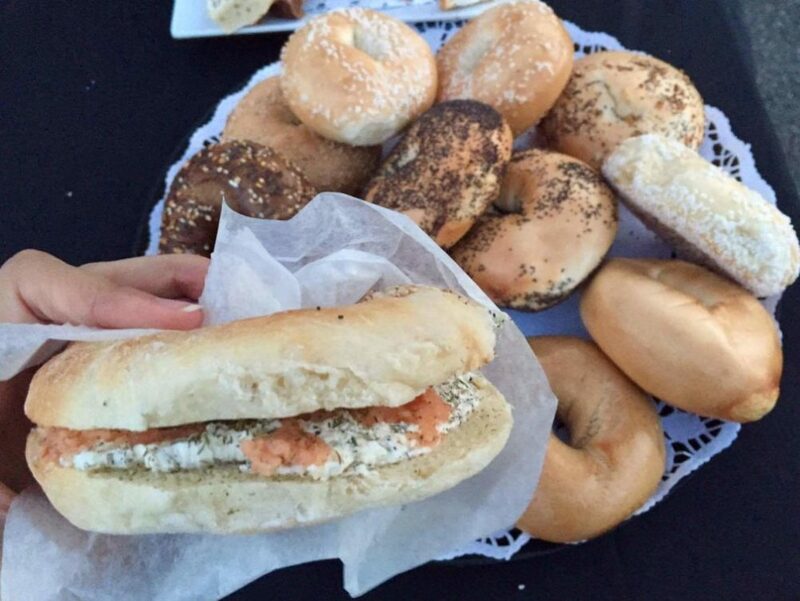 Lower Eastside’s Kossar’s bagels and bialys with smoked salmon lox and cream cheese were also a crowd pleaser. Aromas of grilled bacon and sausages wafted away at Jimmy’s No.43 booth. 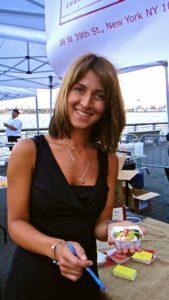 As an alternative to the savory specialities on offer, Cathy Erway, author of The Food of Taiwan and who is also half-Taiwanese, served a traditional chilled tofu pudding with ginger syrup. Healthy-conscious Indian restaurant Inday, run by Anup Joshi, dished out an interesting but unusual Indian take on a classic Breton crêpe complète, served on a dosa with a refreshing accompaniment of cold tumeric-flavored chai. 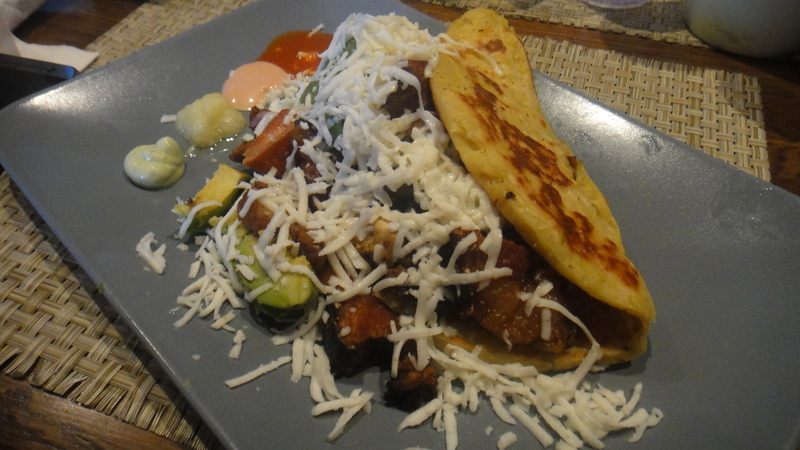 The Arepa Lady, a favorite of Elmhurst, Queens, offered rustic breakfast style Columbian arepas, and Cuban-Chinese fusion Calle Dao put up its signature Chinese-style eggs benedict with a light oriental flavor. There was no shortage of beer, cocktails and other beverages to keep our palettes wet. 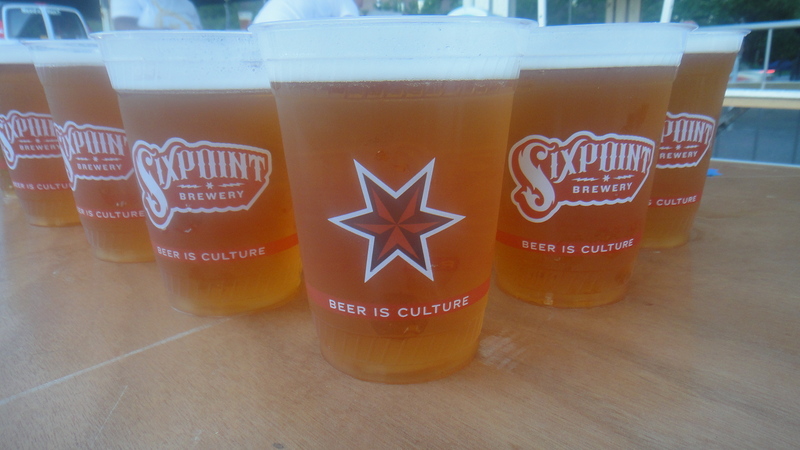 New York local brewery Sixpoint lined up three kinds of beer for patrons to sample. 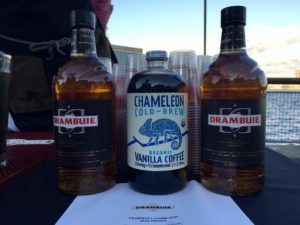 Drambuie showcased its Chameleon Cold Brew, aged scotch whiskey infused with herbs, in two unique cocktails including a Java Royale. It left a slightly sweet, smoky refreshing cherry flavor on the palette. 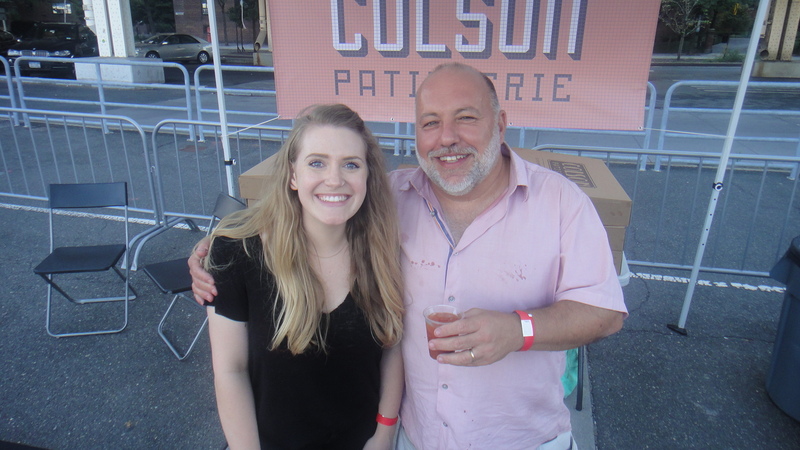 Appearing in virtually every local food event and expo, tea-based cocktail mixers, The Owl’s Brew introduced their new line of Pink & Black mixed with Sauvignon Blanc. I never thought you could mix tea with with wine, but it really worked. 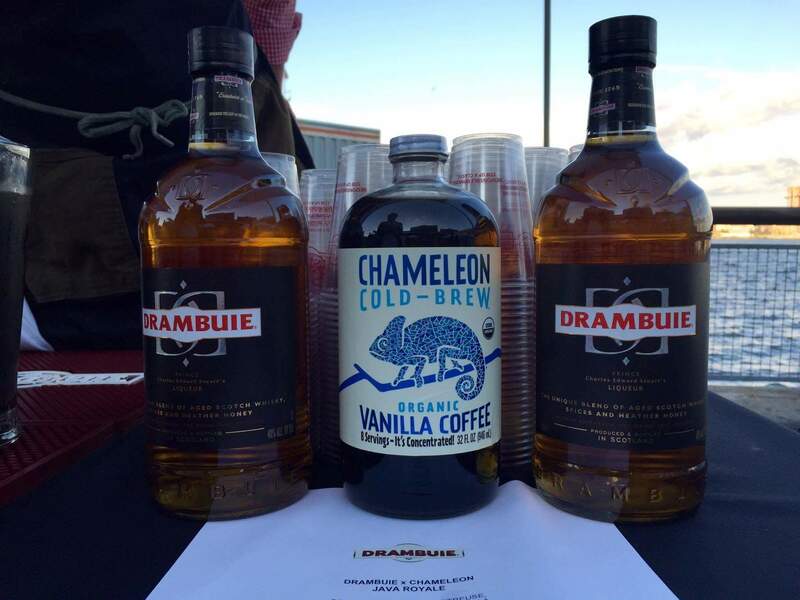 It wasn’t only beer and booze at Breakfestival. 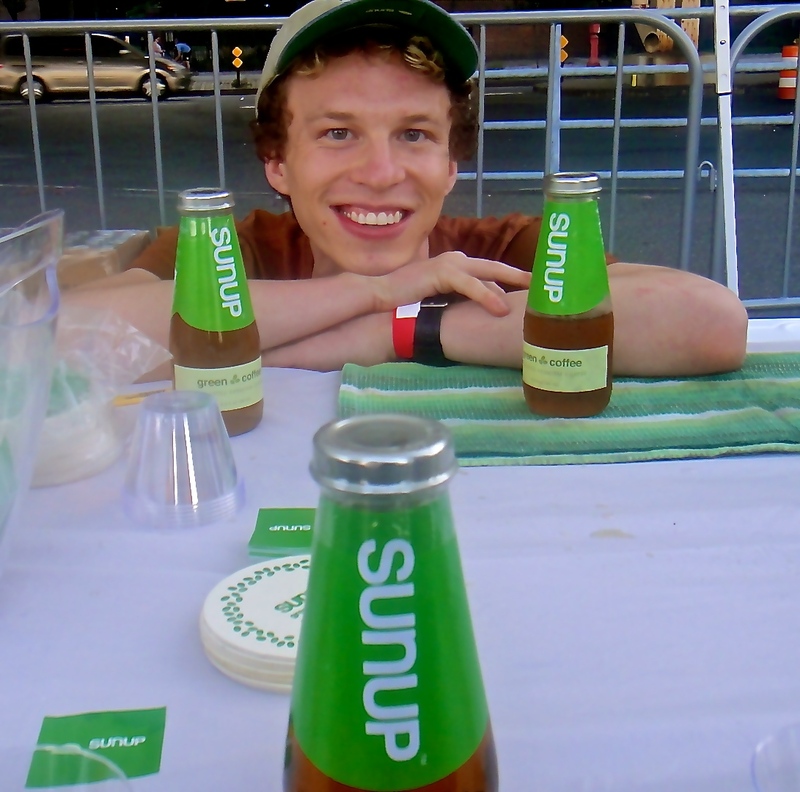 Of the beverages served, Sunup Green Coffee was the big surprise. 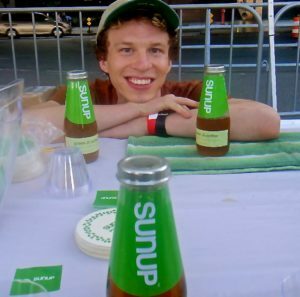 Founded by Nate Pealer, who tinkered with making drinks out of green coffee beans, created a new thirst quencher. Lighter in color and taste, it actually has more caffeine than a traditional cup of roasted coffee. It almost had a Snapple-like flavor with a slight hint of bitter coffee in the aftertaste. As the stars came out, it was time for us to go. After consuming for than our fair share of food and drink, we waddled to the exit waving our good-byes. As they say, the flavor holds the memory, but the cheerfulness of our hosts and fellow guests, reminded me of what food writer Brillat Savarin once wrote that in life pleasures come and go, but the pleasure of the table, long after a meal is done, will never leave.